Austin loves playing flag football for the Trentwood Tigers. There is only one problem---his team has lost six games in a row, and he doesn't like losing. At his next game, Austin's teammate has a plan to trick the other team. It works, but Austin knows his team cheated to win. Coach Tony and Coach Lauren remind Austin the most important thing about football isn't winning---it's playing fair. When his team takes the field for their next game, will Austin choose to cheat again, or will he stand up for what's right? 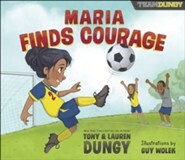 Recommended for ages 6 to 9 years. Coach Tony and Coach Lauren remind Austin the most important thing about football isn't winningit's playing fair. When his team takes the field for their next game, will Austin choose to cheat again, or will he stand up for what's right? What would you do if you were in Austin's shoes? 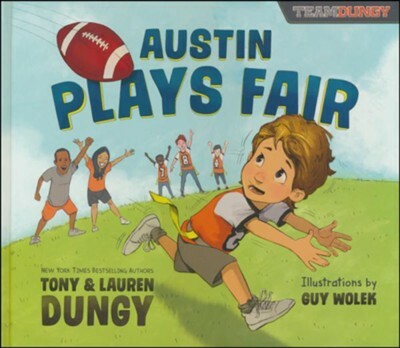 I'm the author/artist and I want to review Austin Plays Fair: A Team Dungy Story About Football.